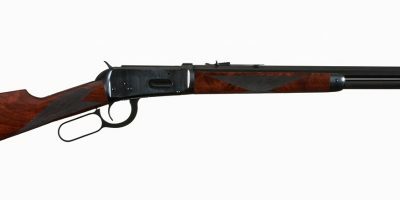 This is a Winchester 1892 Deluxe chambered in .32 WCF, manufactured 1905 and fully restored to factory letter. 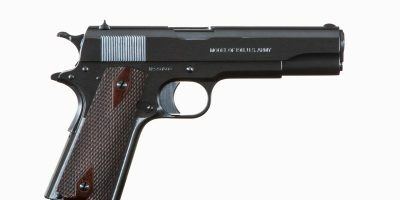 The rifle features factory engraving, with a 24″ rust blued half-round half-octagon barrel. 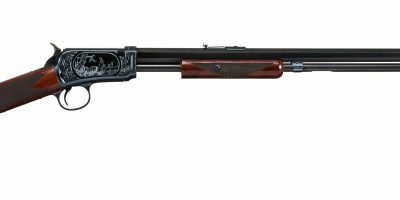 This Winchester 1892 Deluxe’s stock and fore-end has a standard “H” pattern at 22LPI. Charcoal blued receiver along with color cased hammer and lever.